Your opinion matters. Leave A Review Or Edit This Listing for FCS Food Pantry. 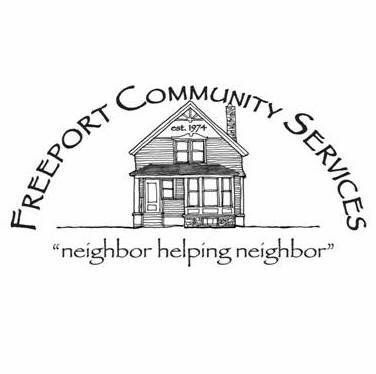 The FCS Food Pantry provides food to residents in need from Freeport and Pownal, Maine. Volunteers distribute donated and purchased fresh meat, fresh and frozen produce, canned goods, and some personal hygiene items. A lot of the food is donated to the Freeport Community Services Food Pantry by local businesses, including Hannaford, Bow Street Market and Shaw's. We also receive bread from When Pigs Fly Bakery. And many donations, including pet food, are made by local residents, schools and organizations. Thank you for your generosity. We always need more information on our pantries. If you know of any details, volunteer information, website, hours or more description information about FCS Food Pantry please add a comment (below the map on this page), with information. We will then display this for all visitors on this page.